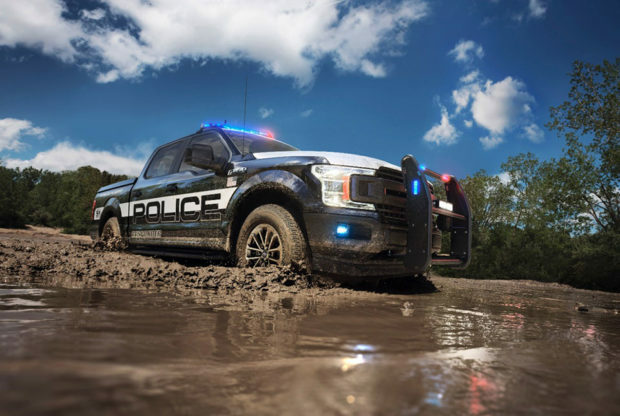 Ford has unveiled a new version of the F-150 truck made specifically for police responders. 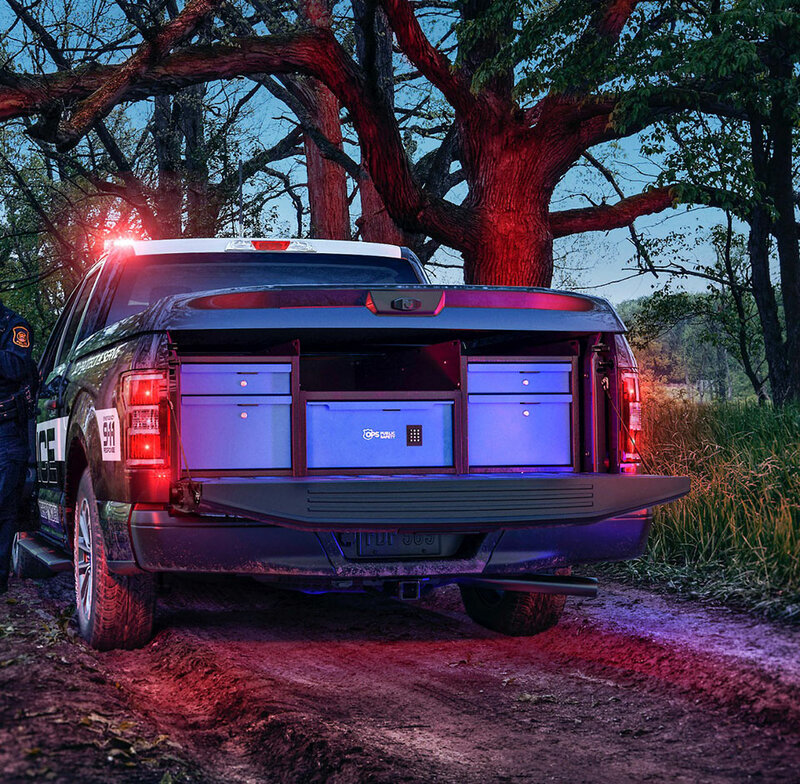 The truck is based on the F-150 FX4 and is called the F-150 Police Responder. Ford says that the truck is built specifically with pursuits in mind, and is equipped with a special police brake system with upgraded calipers and friction materials. It has all-terrain tires, 18-inch wheels, and a special interior with cloth front seats with anti-stab panels, as well as a vinyl rear with an easy to clean floor. The truck is the most powerful pursuit-rated vehicle in the Ford fleet with 375 hp and 470 lb-ft of torque, thanks to its 3.5-liter EcoBoost engine. It also packs a 240-amp alternator, providing plenty of power for all the electronic goodies police rely on these days. 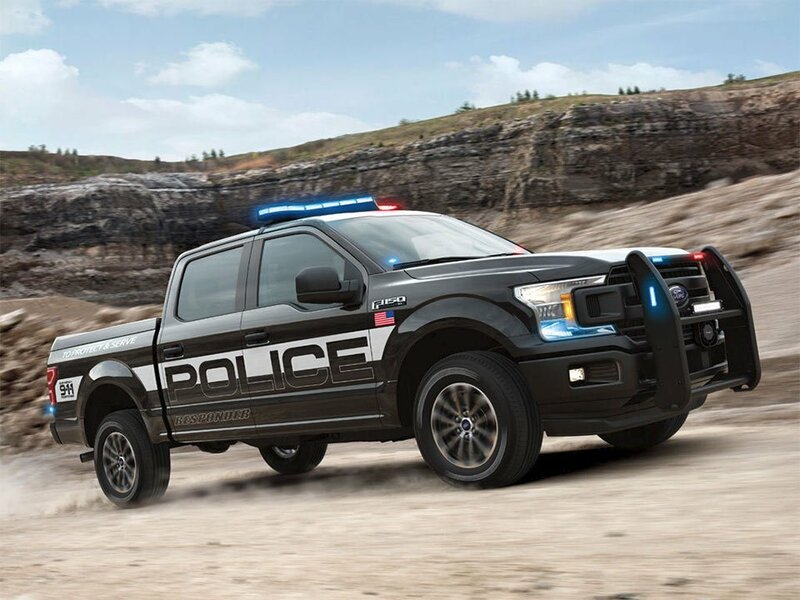 Ford says it has the largest passenger volume and payload capacity of any police vehicle, and can also tow 7,000 pounds.